Starbucks Canada’s Happy Hour is back! 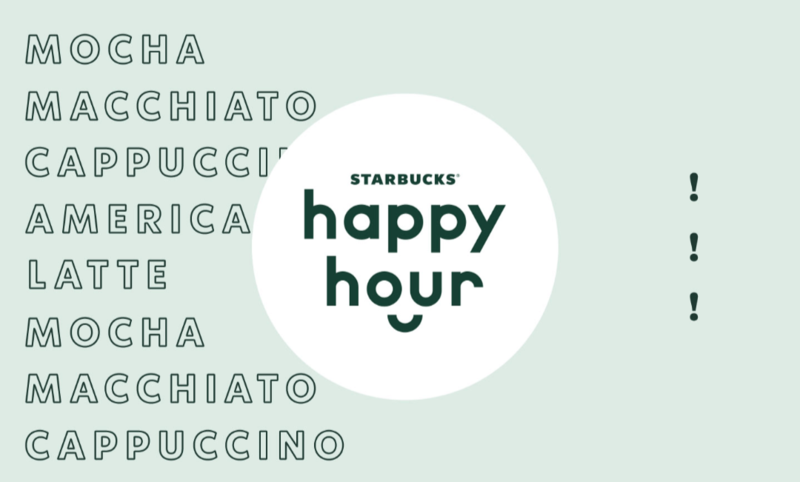 Enjoy 50% off any handcrafted espresso beverage, size grande or larger, starting at 3 p.m. today March 21 2019. This offer is available to select Starbucks Rewards Members (check your app) at participating Starbucks stores. Cannot be combined with any other offer or discount. Offer valid for one-time use. Not a member? Sign up now by clicking here! Click here to find a Starbucks near you!